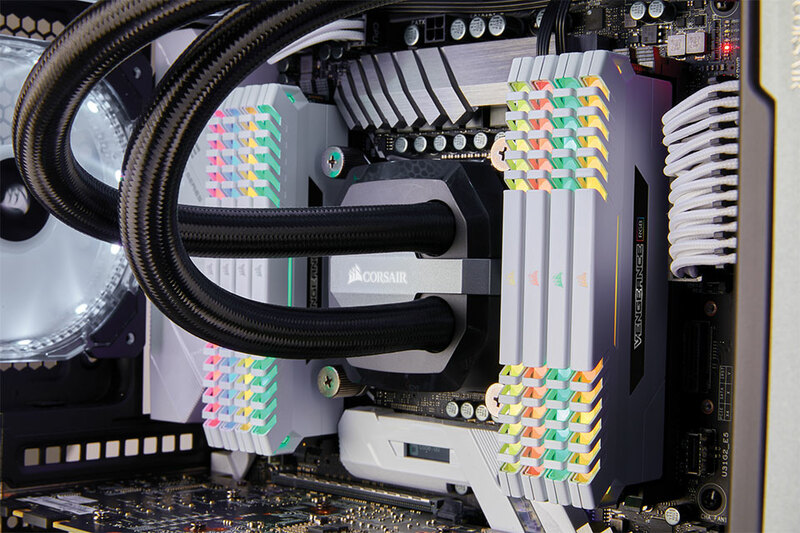 CORSAIR®, a world leader in PC components, high-performance gaming hardware and enthusiast memory, today announced a new addition to its line-up of performance RGB-lit DDR4 memory, VENGEANCE RGB White. Clad in a sleek new white heat spreader, VENGEANCE RGB White’s RGB LED-lit lightbar appears brighter than ever, bringing a vivid burst of customizable color and a distinctive new look. Available in a wide range of speeds and capacities to suit any system and compatible with all current Intel and AMD DDR4 motherboard platforms, VENGEANCE RGB White brings an instant performance and visual upgrade to any PC. With a legacy of memory performance stretching back more than 20 years, CORSAIR continues to give PC enthusiasts the room to push their systems to the limit, and VENGEANCE RGB White is no exception. The new white headspreader works to actively cool each memory module, maintaining performance and stability even at the highest frequencies. A custom performance PCB and specially designed lighting circuitry ensure there’s zero performance impact when comparing VENGEANCE RGB White to similarly clocked DDR4 kits, while XMP 2.0 support on every kit makes sure running your memory at its rated speed is just a single setting away. 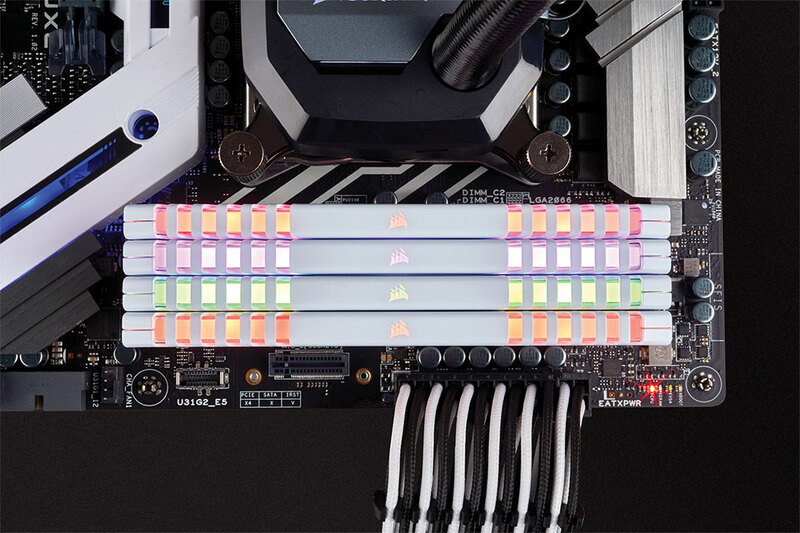 Connecting to your PC via standard DDR4 DIMM slots, VENGEANCE RGB doesn’t require any additional cables or connectors to provide full lighting control from within CORSAIR LINK Software. VENGEANCE RGB White is also compatible with Gigabyte RGB Fusion, MSI Mystic Light and Asus Aura Sync lighting control software, offering the widest choice available to customize your memory’s RGB lighting. Whichever way you choose, you’ll be able to effortlessly match VENGEANCE RGB White’s lighting to your system’s color scheme or enable a range of customizable patterns and effects to put on a dazzling light show. VENGEANCE RGB White is available immediately via the CORSAIR worldwide network of authorized retailers and distributors, or direct from the www.corsair.com webstore.